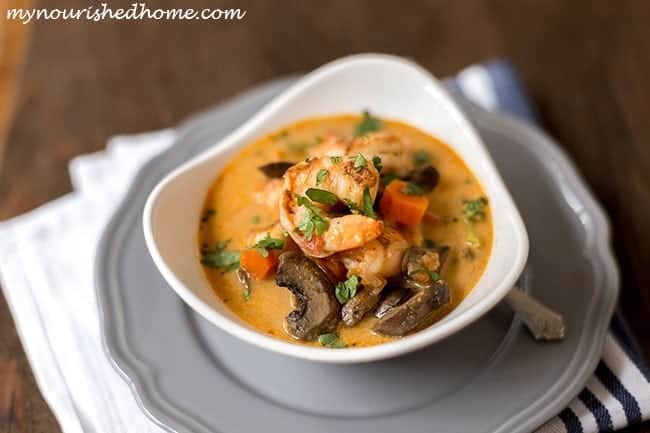 This Shrimp and Vegetable Coconut Curry is sweet and a little spicy, like all good Thai food. It also happens to go on the table in about 15 minutes. You can’t beat that for a weeknight dinner! 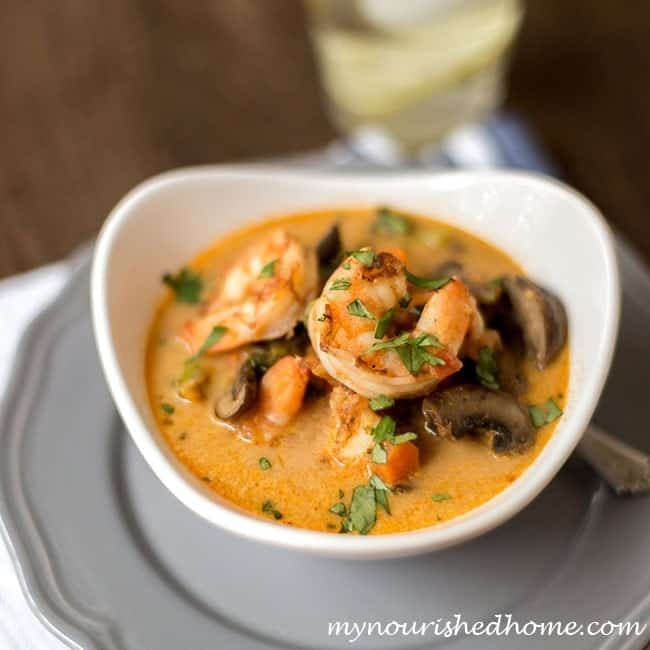 We love Coconut Curry Recipes and this one is a winner! Coconut Curry Recipes are SO GOOD! My husband and I have a long time love of Thai food and regularly sneak out for date night and head to the local Thai place. We both really love the sweet and spicy taste of coconut curry recipes and always pick something that combines the two on the menu. I actually had no idea if my kids would eat this until we made it at home in an effort to recreate the flavor we love at home. Why? Because date night is kid free and sacred. LOL! But my teenager ate so much we had to kick her out of the pot so we could all have some. And the 6-year-old (surprisingly!) loved it over rice as soon as it cooled a little. My 4-year-old has not yet come to appreciate the value of hot soup… you know, because it is hot. She ran away and hid under the coffee table… But we are holding out hope that this is a phase. This Coconut Curry Recipe is FAST! I am always on a mission to get food that actually tastes good – and everyone will eat – on the table during the week. My schedule probably looks a lot like yours – Up, Kids, Work, Kids, Chauffer, Kids, Family time, Dinner, Bedtime wrangling, Collapse. Sometimes dinner is the part of that equation that gets the most squeezed for time. If the best part of this recipe is that it tastes awesome, the second best thing is that it goes on the table in about 15 minutes. 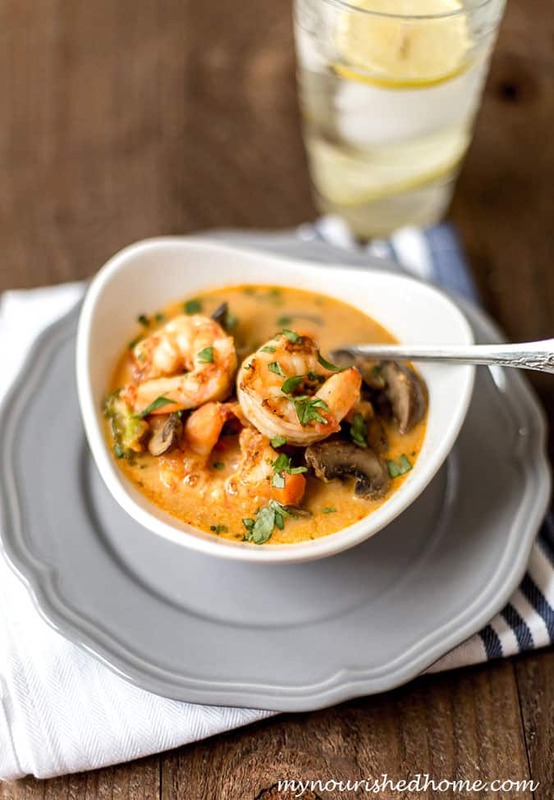 We serve this Shrimp and Vegetable Coconut Curry Recipe two ways – as a soup and over rice. I have found that my little kids do better with it over rice. It mitigates any spice a little and is just easier for them to get into their mouths instead of on the table. Looking for other Easy Recipes to try? 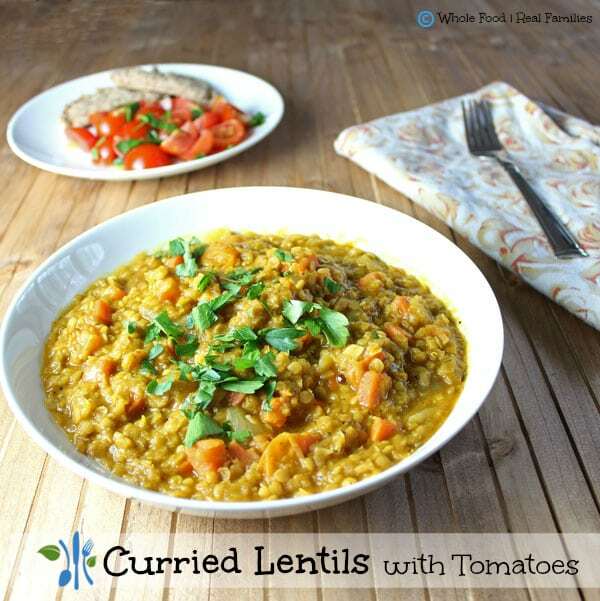 These Curried Lentils with Tomatoes is terrific. I grew up in the south so lentils were not something I ate much of until I was an adult. 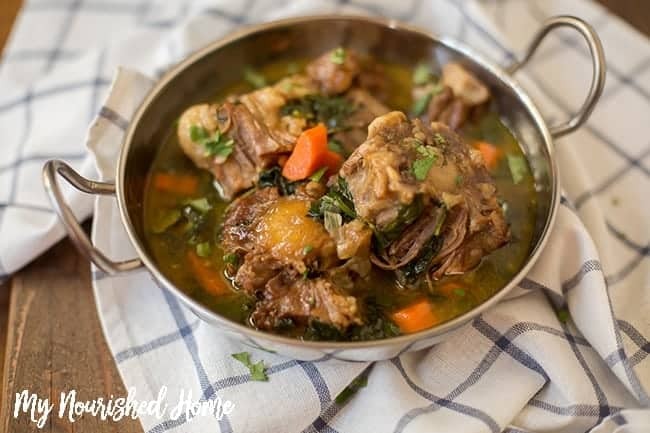 Now I love them – and this recipe is probably my favorite ever! In a large pan, heat coconut oil until shimmering and cook the onion with the mushrooms until the onion is soft and translucent. Add the garlic and cook until fragrant. Next, add the carrots, tomato, and celery. Stir and allow to cook for a minute. Pour in the broth and the curry paste, lower heat and let it simmer until carrots are cooked. Next, add the zucchini and broccoli and let it cook for another minute. 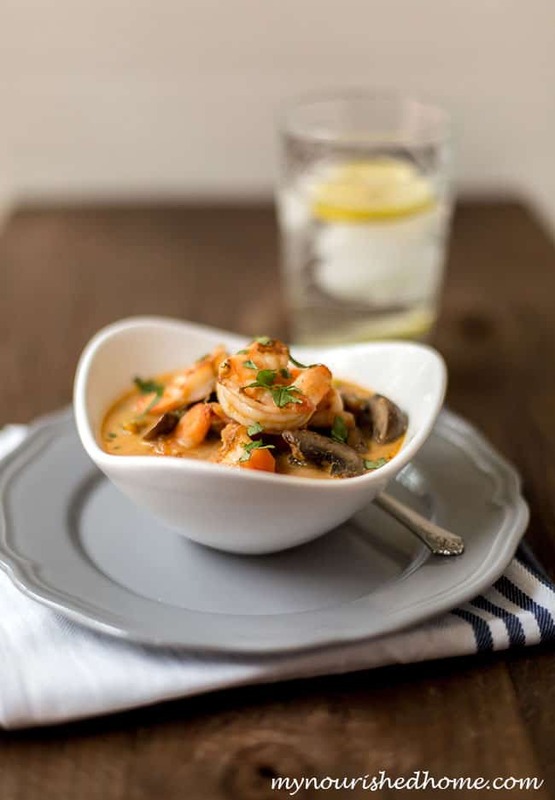 Include the raw shrimp and pour in the coconut milk, stir and bring heat up until it boils. It should only take about 5 minutes until the shrimp is done. But double check, and make sure shrimp is all pink. Serve as soup, or serve over plain rice. Curry must be the cravable flavor of the month! Totally unplanned for us to both have curry soup recipes go up about the same time, but love the irony! I can’t wait to try your soup. Thanks for sharing! Looks like a great easy recipe. While I am looking to try making some curry paste myself, sometimes you just don’t have the time! Love this short version. I do love some Thai food.